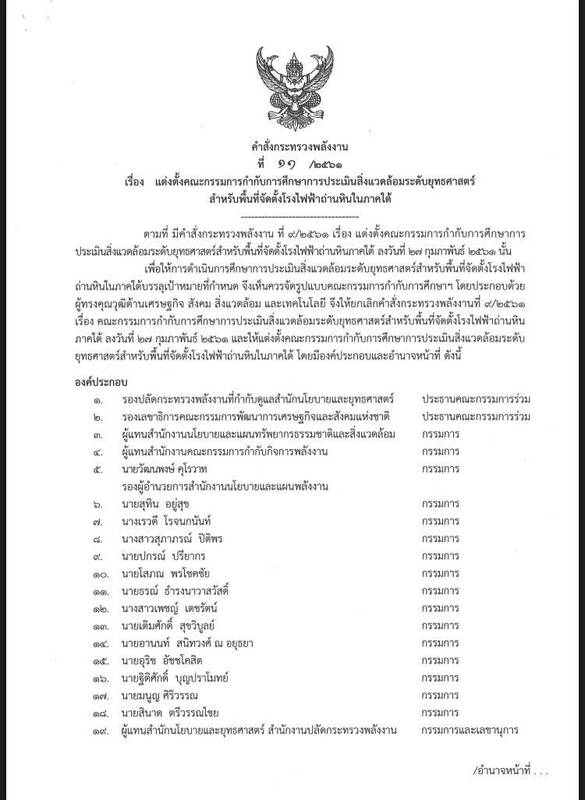 Energy Minister Siri Jirapongphan recently inked an appointment of the new Strategic Environmental Assessment Board for the locations of coal-fired power plants in the south of Thailand. 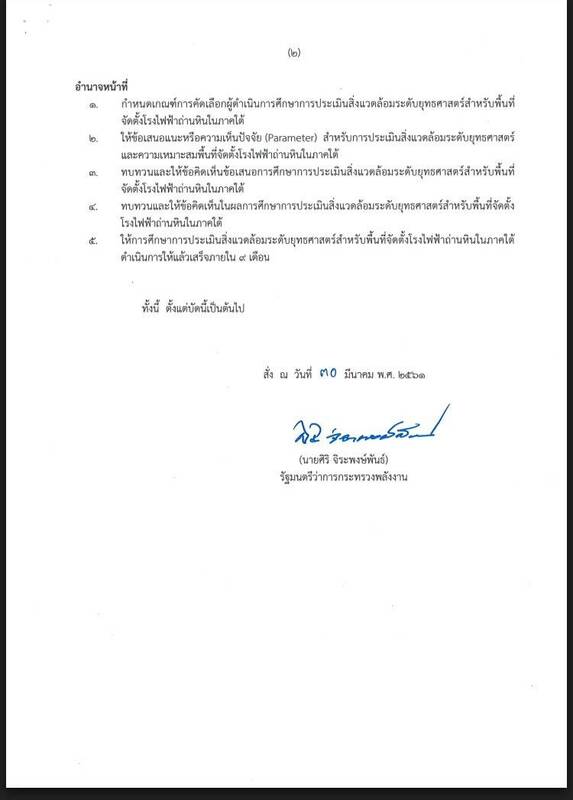 Dr.Sopon Pornchokchai is one of the appointed board members. He supported coal-fired plants due to the fact that these plants are safe which have been proved in many countries such as Malaysia and Singapore and other neighboring countries. Dr.Sopon said it was an opportunity for both the 'pro' and 'con' of these plants to be discussed with evidences on the table for the benefits of the country at large.